Chairman Palazzo, Ranking Member Costello, my name is Pete Bunce and I am the President and CEO of the General Aviation Manufacturers Association (GAMA). 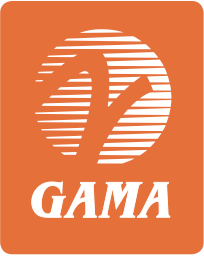 GAMA’s sixty-eight member companies are the world’s leading manufacturers of general aviation airplanes, engines, avionics, and components. Our member companies also operate aircraft fleets, airport fixed-based operations, pilot training and maintenance facilities worldwide. On behalf of our members, I appreciate you convening this important hearing and providing me with the opportunity to testify before the Subcommittee about the Federal Aviation Administration (FAA) reauthorization bill and its research title. General aviation is an essential part of our transportation system that is especially critical for individuals and businesses that need to travel and move goods quickly and efficiently in today’s just-in-time market. General aviation is also an important contributor to the U.S. economy, supporting over 1.2 million jobs, providing $150 billion  in economic activity and, in 2009, generating nearly $5 billion  in exports of domestically manufactured airplanes. We are one of the few remaining manufacturing industries that still provide a significant trade surplus for the United States. Our industry, like others, is struggling due to the recession. Due to the economic downturn, our member companies have seen more than 20,000 layoffs over the last two years. Our deliveries have declined significantly – by 45% between 2008 and 2009 and almost 15% between the first three quarters of 2010 as compared to the first three quarters of 2009. Despite these tremendous economic challenges, our member companies have responded by continuing to innovate and invest in new products to take advantage of market opportunities as the recession ends. We believe the market is stabilizing as we see an increase in orders in some segments of our industry. We also believe that this Subcommittee has a key role to play in helping our industry take full advantage of their investments and innovations. Research and development at the FAA is conducted within two separate programs: the research, engineering and development program (RE&D), and the facilities and equipment (F&E) program. My testimony will focus on the FAA’s RE&D program, but I will reference other issues as well which are relevant to your oversight responsibilities. The FAA focuses its research activities on aviation safety, air traffic control modernization, and the environment to advance agency policies, guide future technologies, and understand safety issues facing the aviation system. The FAA’s research program has become more important recently as the National Aeronautics and Space Administration’s (NASA) aeronautics budget has been cut dramatically over the past ten years. As a result, some policymakers have debated shifting all federal aeronautics research to the FAA. GAMA opposes this idea because the two agencies have quite different capabilities, missions, and goals. Moreover, during debate on its FAA reauthorization bill earlier this month, the Senate voted overwhelmingly against commissioning a study to determine the feasibility of transferring NASA’s aeronautics program to the FAA. However, with respect to air traffic control modernization and other areas, it is very important that the two agencies coordinate their research programs and work closely together. As the committee knows, the FAA conducts much of its research at the William J. Hughes Technical Center (Tech Center) in Atlantic City, New Jersey and the Civil Aero Medical Institute in Oklahoma City, Oklahoma. Both facilities bring unique capabilities to support the FAA’s mission, and are globally recognized as world class research centers for aviation safety, technology and environment. An issue of great importance to the general aviation industry and the U.S economy is the FAA’s evaluation and safety certification of alternative fuels which is primarily done at the Tech Center. GAMA and all other key industry stakeholders are currently involved in a joint public-private initiative to develop an unleaded aviation gasoline for piston engine aircraft and renewable fuels for turbine engine aircraft. One of the most important and critical FAA research activities for general aviation is to identify the information necessary to develop, approve and deploy an unleaded aviation gasoline (avgas) to replace the current 100 low-lead avgas (100LL). Environmental actions by the Environmental Protection Agency (EPA) and global economic factors threaten the continued availability of leaded avgas. However, lead is the only known additive for avgas which can protect high performance piston engines from detonation, sometimes referred to as “knock,” which completely destroys an engine. The FAA plays a critical role in industry initiatives to develop alternative fuels as only the FAA can determine the performance and airworthiness standards for the safety certification of new fuels. The FAA is partnering with our industry as we begin the long, complex effort to develop and approve an unleaded avgas and transition the existing U.S. fleet of nearly 190,000 piston engine aircraft. The Subcommittee’s leadership will be absolutely essential this year and in the future to make certain that this transition is done in a way that ensures aviation safety is maintained, is technically and economically viable, and has the least impact on the existing fleet of GA aircraft and operators. We respectfully request that the Subcommittee include two key provisions in the FAA reauthorization bill with respect to avgas. The first is to authorize $2 million annually over four years in the FAA’s research and development budget for Alternative Fuels for General Aviation. The FAA requested this funding level in the FY2011 budget and we expect the same request level for FY2012. This research program will help develop FAA performance and certification methodologies necessary for qualification and certification of alternative fuels. The testing that will be performed at the FAA’s Tech Center in New Jersey will include different unleaded avgas formulations being developed by industry as well as possible piston engine modifications to ensure that they can be used safely in aircraft. In addition, this FAA activity is needed to ensure technical and safety cooperation with EPA as it pursues regulatory actions under the Clean Air Act to address lead emissions from general aviation. Support for this research will be an absolutely critical part of the process to identify and transition to a replacement unleaded avgas with the least impact on the existing piston-engine aircraft fleet. Secondly, we hope the Subcommittee will include the provisions of a bill (H.R. 549) introduced by Chairman Sam Graves of the Small Business Committee and Rep. John Barrow which will create a public-private partnership to collect data; identify criteria for a viable avgas; develop fuel emissions and airworthiness standards; and certify the modifications made to the general aviation piston fleet. This partnership will use the research data from the Tech Center to support the development of standards, guidance and processes necessary for safety certification and an efficient transition. In a move consistent with this bill, the FAA recently chartered an Unleaded Avgas Transition Aviation Rulemaking Committee (UAT-ARC) comprised of the key industry and government stakeholders to identify issues relating to the transition to an unleaded avgas and to recommend the tasks necessary to investigate and resolve them. An alternative unleaded avgas will require FAA approvals for tens of thousands of aircraft and certification of any engine modifications necessary to ensure that existing high-performance aircraft will be able to safely operate. This will require FAA policies and procedures to be in place as well as engineering resources available at aircraft certification offices in order to address the significant technical complexity and potential safety implications of transitioning the existing fleet of piston aircraft to an unleaded aviation gasoline. Our entire industry stands ready to work with you on this important initiative. We have formed a General Aviation Avgas Coalition comprised of general aviation manufacturers, operators, airport distributors and fuel producer industry groups to ensure the long-term viability of general aviation. GAMA companies have heavily invested in fuels research and engine development activities and participate actively in FAA research and Tech Center activities including the provision of engineering expertise, testing capabilities, and the provision of engine hardware and airworthiness maintenance support for the Tech Center test facility. Your Subcommittee’s support is needed for FAA and industry to continue all the necessary unleaded avgas activities. It is our hope that a required or necessary transition to an unleaded avgas can be done in a way that effectively balances environmental improvements with aviation safety, technical feasibility and economic impact related to issues surrounding the production, distribution and cost of fuel. A number of GAMA member companies also participate in the FAA’s public-partnership research program known as CLEEN, or Continuous Lower Energy, Emissions and Noise. The manufacturers engaged in CLEEN match or exceed the government funding under CLEEN, thus leveraging the public contribution. CLEEN is working on concrete solutions to increase the environmental efficiency of aircraft through research into promising new engine technologies, airframe and materials research, and alternative fuels. CLEEN technologies in some cases can be retrofitted to the existing fleet of aircraft thereby accelerating benefits to the public. Through collaboration with other research agencies and initiatives such as the Commercial Aviation Alternative Fuels Initiative or CAAFI, CLEEN is a key element of our industry’s aggressive efforts to mature and demonstrate the benefits of “drop-in” alternative fuels for aviation. The FAA has several Centers of Excellence (COE) that were established by Congress to leverage academia in support of the FAA’s research priorities. GAMA works closely with the Center for General Aviation Research (CGAR), which is a consortium of leading aviation universities and flight schools including Embry-Riddle, Florida A&M, the University of North Dakota, the University of Alaska, and Wichita State University. – The development, evaluation and establishment of training standards and testing standards for “glass cockpit” avionics in light general aviation. – Use of Automatic Dependent Surveillance Broadcast (ADS-B) technology to track training flights. – Evaluation of the use of data recorders in general aviation flight operations at flight schools such as Embry-Riddle. – The development of Safety Management System concepts for general aviation and how they fit within current regulations. – Accident trend analysis for general aviation operations that is helping to guide the FAA’s general aviation safety program, the General Aviation Joint Safety Committee (GAJSC). One hundred and ninety-two graduate and undergraduate students have directly participated in these and other research projects sponsored by the FAA and CGAR. GAMA believes strongly in this type of foundational research and, more importantly, this research has a clear link to introducing new technologies or policies that have direct benefit to improving safety or capacity in our industry. The FAA reauthorization bill that passed the House in the last Congress included language to change the cost sharing criteria for FAA research projects. The bill capped the federal share at 75 percent for COE programs and, if justified, allowed for a 90 percent federal share in some cases. The feedback that GAMA has received from the CGAR program is that this new structure would further expand the ability of the program to support FAA’s research mission through a shared cost structure. GAMA supports this change because of its ability to strengthen public-private research projects and encourages its inclusion in the new FAA bill. Air traffic control modernization, or NextGen, will transform the National Airspace System (NAS) by using modern technologies to make air travel safer and expand capacity. We believe that the current impediment to accelerating NextGen is not a lack of technology but the inability to develop processes and procedures that will support the technology. To do this, FAA must leverage its research resources through both the RE&D budget and the F&E account. During the past two years, with direction from Congress, the FAA has undertaken specific initiatives to support the deployment NextGen. I would like to highlight two of them. In late 2008, the FAA announced a $9.3 million research award to develop and conduct flight demonstrations for an ADS-B “In” application called Enhanced Traffic Situation Awareness on the Surface with Indications and Alerts (or “SURF-IA”). The SURF-IA application is a priority of the FAA as it would address safety enhancements recommended by the National Transportation Safety Board (NTSB). This research and evaluation was carried out successfully and identified specific technical areas that require additional attention from the FAA. The FAA shared the results of these projects with the ADS-B In Aviation Rulemaking Committee (ARC) which in turn endorsed a strategy to resolve any issues with this application so that it can be deployed. We believe this is an example of the FAA effectively leveraging timely research for needed NextGen deployments. We encourage more targeted NextGen research of this type in the future. Another ADS-B In application that will enhance safety in general aviation is called “Traffic Situational Awareness with Alerts (TSAA) and would provide an evolved traffic collision avoidance system for light general aviation. As the Subcommittee may know, the FAA has struggled to identify benefits for general aviation from ADS-B and funding to develop this application is welcomed by GAMA. The contract has been awarded to MIT and the research plan is designed to develop ADS-B technical standards over the next three years. We encourage more targeted NextGen research to be undertaken in a manner similar to these two projects. Finally, we believe that NextGen research should benefit all segments of the aviation system. Although much work has been done to support key NextGen technologies like ADS-B, data communications, and System Wide Information Management, not enough work has been done to evaluate human factors issues relative to the deployment of these technologies, especially for general aviation operations. We believe it is important for the FAA to continue to engage with our community through forums such as the Research, Engineering and Development Advisory Committee to help guide its future research activities for NextGen. We especially want to make sure that issues within general aviation, like single pilot operations, are not overlooked when technologies such as data communications are developed toward deployment. The JPDO was established by Congress in the Vision 100-Century of Aviation Revitalization Act of 2003. Its role is to coordinate activities between the various federal agencies that have a stake in NextGen including NASA and the Department of Defense. In addition, the JPDO also plays a role in ensuring that research essential to the deployment of NextGen is completed. Since there are several different NextGen research and advisory committees, we urge this Subcommittee to evaluate the management of all these different institutional arrangements to ensure they are not duplicating efforts or a failing to establish clear areas of responsibilities. Lastly, we have frequently voiced concern about the FAA’s ability to develop and certify policy for software. We have championed this area over the past decade and within the research area we endorsed recommendations last spring for the software and digital systems program. GAMA has engaged the FAA over the past decade about the importance of building internal technical expertise on the staff level as well as to conduct targeted research in the area of software and digital systems. As the subcommittee knows, the NextGen program makes onboard avionics part of the ATC infrastructure as opposed to today’s ground based radars and other equipment. As this ATC evolution begun, industry raised concerns over the FAA’s internal capability to support this technology development through policy. Specifically, we believe that software and digital systems research and development should be given additional emphasis by the FAA including adequate staffing and funding. Industry has also called for the FAA to develop a comprehensive software and digital systems research plan that integrates with future policy and rulemaking needs. The FAA took some steps during 2010 to develop a research plan, but concerns remain about the level of resources. GAMA is encouraged that the FAA is listening to industry about this important area of NextGen and wants to ensure that appropriate levels of funding are provided to maintain internal expertise and advance research in the area of software and digital systems. Mr. Chairman, the FAA’s research and development program is a critical part of the agency’s mission and it’s important that Congress continue to provide it with the resources it needs to meet the challenges I outlined in my testimony. GAMA stands ready to work with you and the other members of this Subcommittee to advance NextGen, support the transition to an unleaded avgas, and meet critical environmental goals. Thank you for allowing me to testify. General Aviation Contribution to the US Economy, Merge Global 2006. 2009 General Aviation Statistical Databook and Industry Outlook, GAMA 2010. NextGen Alternative Fuels for General Aviation A11.m Research Plan FY 2011-2015. FAA Aviation Fuel and Engine Test Facility (AFETF), William J. Hughes Technical Center AJP-6352. September 30, 2010.